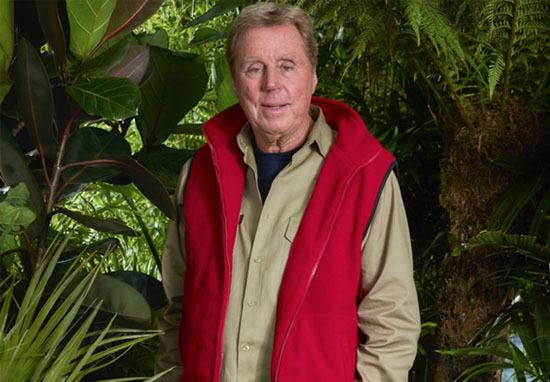 Jamie Redknapp pumped his fist in celebration as dad Harry was announced as I’m A Celebrity’s new King of the Jungle. 71-year-old Harry won the hearts of the nation with his stories, expressions of love for his wife, and his adorable lack of knowledge about pretty much everything he faced in the Australian jungle – not to mention his unforgettable ‘Yabba-dabba-doo!’ joke. The football manager won this year’s series beating Emily Atack and John Barrowman to the crown, despite their all-singing, all-dancing, all-screaming performances. Speaking ahead of his official coronation as Jungle King, Harry, who had never seen the show before, explained how he hadn’t expected to be faced with such hard times, instead anticipating the crew would call ‘cut’ on the camp set rather than let the celebs starve. He admitted to Dec and Holly he had expected to head to a hidden caravan when the cameras weren’t rolling where the campmates would stuff themselves with sandwiches before coming back to look starved for all of us watching back home. Instead, Harry was faced with dinners made up of alligator, ostrich egg, wallaby wings and all manner of other weird and wonderful foods, leaving him in despair every evening and simply desperate for some jam roly-poly. But despite his hesitations, Harry endured the meals, the trials and Noel Edmonds and made it through to the very end. Along with millions of us across the UK, Harry’s son Jamie watched as Dec revealed this year’s I’m A Celeb winner, and his reaction was actually very similar to mine. The footballer shared a video of his viewing party to Instagram, where he sat with his kids in front of a huge screen showing a bigger-than-life-size Harry take the crown. 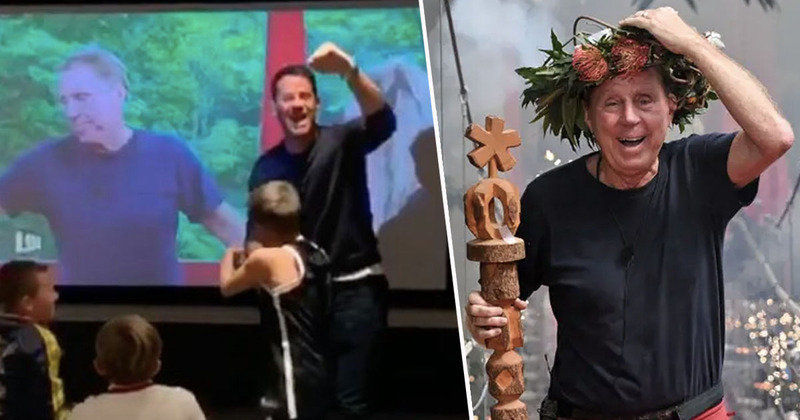 As soon as Dec announced the jungle had a new King, Jamie pumped his fist into the air and shouted ‘Yeah!’ before breaking into applause, his family jumping with glee around him. I never thought I’d say this but I’m so proud to have my dad as the king of the jungle. We love you! Now come home please, we all miss you!! 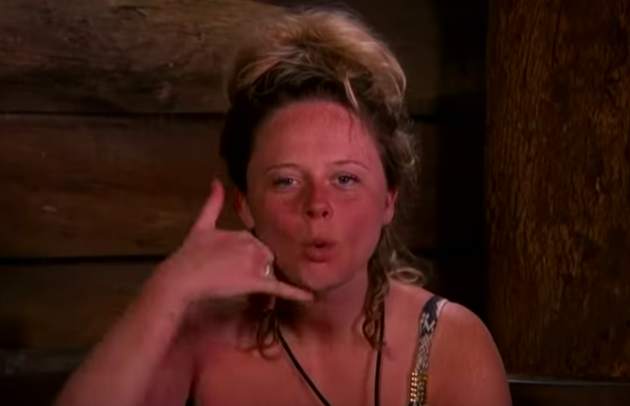 Jamie called to congratulate his dad on ITV’s I’m A Celeb… Extra Camp, where Harry warned the 45-year-old to steer clear of Jungle Princess Emily, who has her sights set on the footballer. The actor had previously joked about becoming Harry’s daughter-in-law and asking if Jamie was single before directing a ‘call me!’ message to him in the Bush Telegraph, but she might have to leave that dream behind with the jungle. Keep away from Emily! She’ll be too much for you. Jamie admitted this was probably true, before going on to thank all of the campmates for keeping an eye out for Harry. To be honest I just want to thank the campmates for looking after him and putting up with him and being so kind to him. You were all so kind. Thank you so much for looking after him. Harry is certainly a worthy winner, I think we’d all love to have him as a dad!